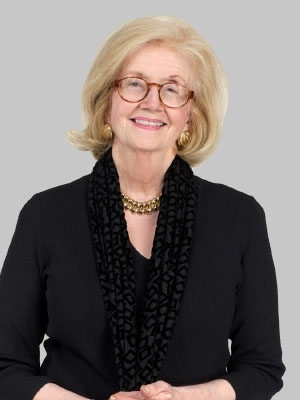 Retired New Jersey Supreme Court Justice Virginia Long joined Fox Rothschild in March 2012 after 15 years on the Appellate Division and 12 years as a pivotal player on the Supreme Court. At Fox Rothschild, Long devotes her efforts to assisting clients with ethics and appellate matters, corporate governance and governmental integrity investigations and to serving as a mediator and arbitrator providing dispute resolution alternatives in civil and matrimonial cases. She also spearheads the firm’s pro bono efforts in New Jersey and was recently appointed to the Supreme Court special committee on attorney ethics to study the new ABA rules on professional conduct. A respected member of the New Jersey bar for more than 40 years, Long was appointed to the state’s high court in 1999 by Governor Christine Todd Whitman. In that capacity, she authored many opinions, challenging the imposition of the death penalty, which she believed was impossible to apply rationally and consistently. Her matrimonial opinions were numerous and changed the landscape of the practice such that a matrimonial Inn of Court was named in her honor. Long’s 2000 judicial opinions impacted the lives of people statewide and addressed such topics as establishing standards for a determination of who constitutes a “psychological parent;” determining that the refusal to renew the employment contract of an employee over the age of 70 violated the New Jersey Law Against Discrimination; first recognizing PTSD as a basis for workers compensation and disability retirement benefits. She also penned a number of ground breaking land use opinions and numerous insurance opinions including several regarding risk allocation in long tail environmental exposure cases. Long began her career as a Deputy Attorney General and later served as Director of the New Jersey Division of Consumer Affairs and as Commissioner of the former New Jersey Department of Banking. She also practiced law at the firm of Pitney, Hardin and Kipp. In 1978, Gov. Brendan T. Byrne appointed her to the New Jersey Superior Court, where she presided over civil, criminal and family law cases. From 1983 to 1984, she was the General Equity judge for Mercer, Somerset and Hunterdon counties. In 1984, Chief Justice Robert N. Wilentz elevated her to the Appellate Division, where she became a presiding judge in 1995. Long was appointed to the New Jersey Supreme Court in 1999 and was confirmed by the Senate for a second term and granted tenure in 2006. She chaired and served as a member of numerous Supreme Court committees, including Extra-judicial Activities and Judicial Performance. She retired on March 1, 2012, when she reached the age of mandatory retirement. Justice Long was appointed in 2018 by New Jersey Governor Phil Murphy to serve on the Judicial Advisory Panel. Comprised of former jurists and practicing attorneys, the panel assists the governor in evaluating candidates for judgeships.